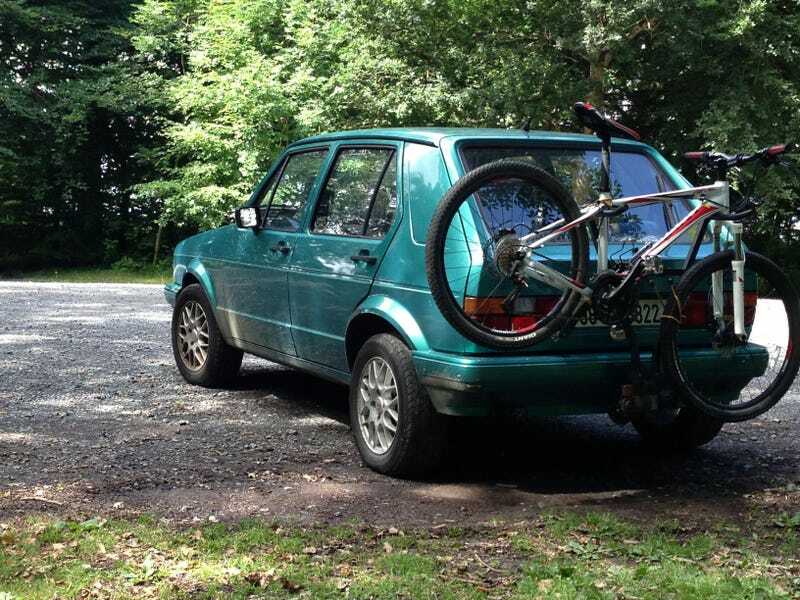 At first glance it seems this angular turquoise econobox appears to be a well preserved first generation Volkswagen Golf. However on closer inspection, the ‘98 registration plate and 90s Polo interior suggests that all is not as it seems. In South Africa the Mark 1 Golf was incredibly popular, so popular in fact that they were still manufactured there until the early 2000s. So imagine you could have 1970s Giorgetto Giugiaro designed Mark 1 Golf with the reliable underpinnings of a 1990s Volkswagen? We’ll let John tell you in his own words what life is like with this oddity.